COMMENT | Article 114 of the Federal Constitution requires the appointment of an Election Commission which enjoys public confidence. After all, the EC is the constitutional body tasked with managing the all-important electoral system in Malaysia. However, if the actions of the EC in 2017 are anything to go by, the EC has inspired zero public confidence and has failed in its duty to administer elections in Malaysia. One would think that as a public entity set up and empowered by the highest law of the nation, the EC would act in the public interest with the highest standard of integrity, competence, and impartiality. On the contrary, the EC has taken various actions and decisions in 2017 which made the electoral system worse. This article summarises eight of such regressive actions. The EC started the redelineation process for Sabah and Peninsular Malaysia in September 2016. Instead of correcting the severe malapportionment and gerrymandering in the existing electoral boundaries, the EC took steps to make it worse by creating more super-sized constituencies. 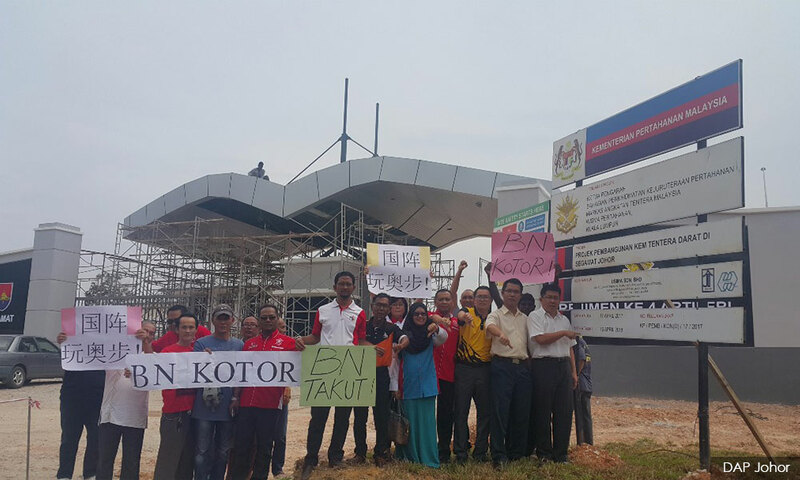 In March 2017, the EC forcefully proceeded with the second display of their proposed redelineation, despite the Selangor government obtaining a stay order against it from the courts, pending the disposal of their judicial review challenge. 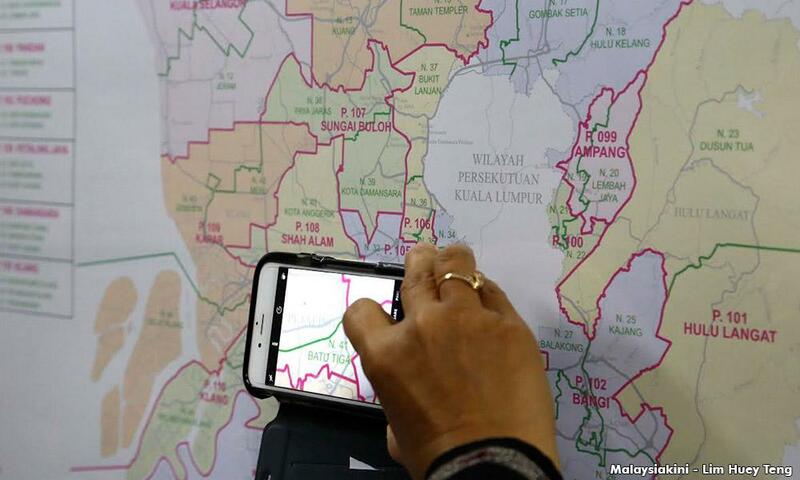 For the first time in history, Selangor was excluded from the second redelineation display. In December 2017, the Selangor case was unfortunately dismissed. The EC wasted no time and rushed out the notice of local enquiry within two days. The local enquiries were held during the festive period when many objectors were away. It is clear that the EC is hellbent on bulldozing through the redelineation before the upcoming general elections. This is highly improper as the EC has up till September 2018 to complete the exercise. Various analysis by researchers have shown that the redelineation would swing 15-20 seats in favour of the ruling coalition. Seven other court cases were also filed in other states in 2017 to challenge the unconstitutional redelineation. Instead of being accountable for the allegations of malapportionment and gerrymandering, the EC and the Attorney-General’s Chambers skirted around the issue, and relied on a weak legal argument – that the proposed recommendations are not legally binding and therefore should not be reviewed by the courts. 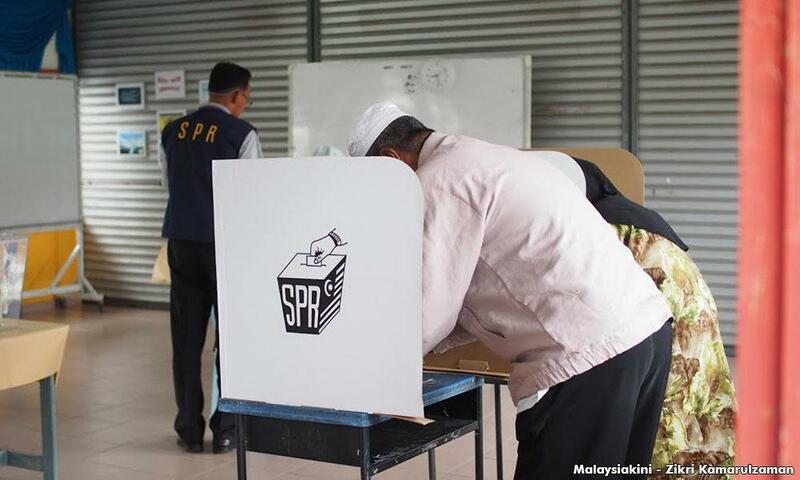 In a shocking revelation during the course of the Selangor’s redelineation legal case, the EC admitted that they have no records of the 136,272 voters without addresses in Selangor because the documents have been destroyed. 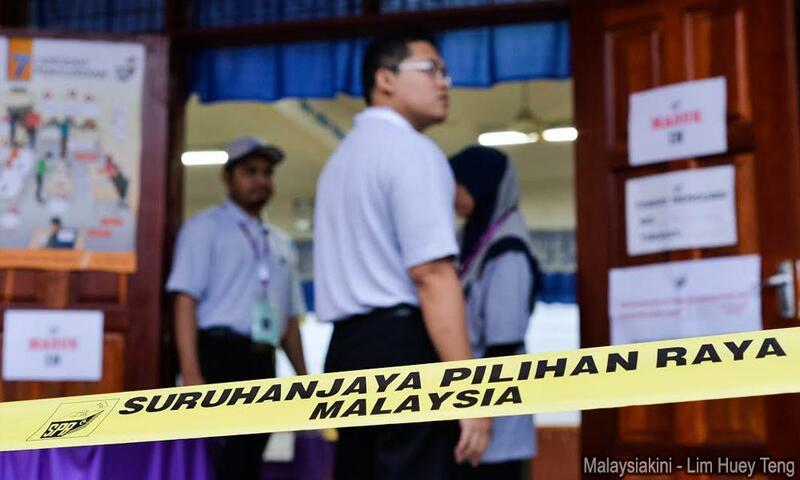 Similarly, there are 44,190 voters without addresses in Malacca and 56,323 in Perak. A voter’s address is a crucial record because it is the basis on which he or she is assigned to voting constituencies. The EC also needs the address to communicate with voters or to conduct corrections on the electoral roll. These again raise age-old questions on the integrity of the electoral roll. Voters without addresses could very well be phantom voters who are illegally registered in large numbers in order to sway election results. In 2017, civil society and political parties continued to expose numerous cases of phantom voters being transferred and registered. Among others, these took place in Bukit Katil (Malacca), Kluang (Johor), Sekinchan (Selangor), Hutan Melintang (Perak), Wangsa Maju (Kuala Lumpur), Lembah Pantai (Kuala Lumpur) and Nibong Tebal (Penang). All of these cases have one thing in common: they are done in marginal constituencies in a deliberate and coordinated manner in an attempt to sway electoral results. In the case of Sekinchan for example, Umno’s Sungai Besar division chief Jamal Yunos openly claimed that he had "discovered" 7,000 new voters in the Sekinchan state seat, and would "move the voters using all methods possible even though it will cost us millions." What has the EC done to prevent and resolve the issue? Nothing. It has allowed it to take place unhindered although they are empowered by the law to inspect, stop and clean up the electoral roll. In previous years, the quarterly draft supplementary roll was provided to political parties. This allowed for analysis and detection of phantom voters and irregularities in new voter registration or transfers. Objections can then be filed if necessary. In 2017, the EC arbitrarily decided to stop providing a soft copy of the supplementary electoral roll. Without it, no meaningful monitoring can be done. It is physically impossible to inspect the draft rolls effectively for phantom voters because they are voluminous and only displayed physically in different areas. Is the EC intentionally limiting information in order to hide and prevent further discoveries of phantom voters? Or is it just plain incompetent and uncooperative? The EC did not give any reason for their decision to regress, except that they have no legal obligation to do so. This is embarrassing to say the least, coming from a constitutional body who is supposed to act in the public interest. Postal voting remains a key problem because of its lack of transparency and vulnerability for manipulation. For many years, civil society and political parties have demanded for postal voting to be abolished, but the EC did the total opposite last year. In October and December 2017, the EC silently gazetted new categories of postal voters. Among others, the new categories are: civil service in the Prisons Department, Fire and Rescue Department, Police Volunteer Reserve, Immigration Department, and National Registration Department. With such extensive expansion of categories, postal votes might very well be fraudulently used to tip the scales in many marginal constituencies. On the other hand, the EC has denied the demands from Sabah and Sarawak voters residing in Peninsular Malaysia to vote as advanced voters without having to travel back. There were also two abnormal incidences involving military voters last year. Firstly, in the first quarter supplementary electoral roll for 2017, the EC and the Defence MInistry irregularly added 28,416 military voters and their spouses using Regulation 14 of the Elections (Registration of Electors) Regulations. Regulation 14 is a provision allowing voters who have applied to be registered to submit a correction claim to the EC if their names have been omitted from the supplementary electoral roll. It is highly unlikely that the 28,416 military voters fall under this category. Secondly, in the third quarter supplementary electoral roll for 2017, the EC allowed the transfer of 3,724 or army voters using three army camps that are still under construction and do not exist. This is a clear violation of the Federal Constitution, which requires voters to be registered in constituencies which they are residing in. These camps are "coincidentally" located in three marginal constituencies (Segamat, Bera, and Bagan Datok) currently held by cabinet ministers – Dr S Subramaniam, Ismail Sabri Yaakob, and Ahmad Zahid Hamidi. By the EC’s own admission, there were 4.2 million unregistered voters at the start of 2017, constituting more than 20 percent of the total eligible voters in Malaysia. The EC has done nothing to make it more convenient for voters to register. Instead, things are made worse by withdrawing the appointment of assistant registrar officers (ARO) from political parties. Various NGOs and political parties have had to shoulder the ineffectiveness of the EC by organising their own voter registration campaigns. And yet, the EC made things more difficult by limiting access to voter registration forms to their own AROs. The EC should save everyone the trouble by instituting automatic voter registration. This can easily be done by synchronising the electoral roll with the National Registration Department’s database, which the EC is already doing with regards to removing deceased voters and those who are no longer citizens from the electoral roll. Perhaps, the biggest failure and arrogance of the EC is their reluctance to engage meaningfully with any stakeholders. Political parties and NGOs have submitted countless letters, memorandums, and even made numerous visits to the EC office, but the EC does not even have the courtesy to reply. It seems that the only way for stakeholders to get a response from the EC is through their occasional media statements, or to sue them in court. In September 2017, the Kofi Annan Foundation and Suhakam organised a regional conference on democracy and elections. While this high-level conference was attended by esteemed guests such as the former president of Indonesia Susilo Bambang Yudhoyono, the EC chose to be an embarrassment by not attending the conference or even sending a representative. The EC, as a constitutional body, must have some sense of public duty and accountability. The minimum duty is to provide clarification and adequate information with regards to pertinent electoral issues, and yet they display arrogance by ignoring all stakeholders. Electoral fraud is, therefore, happening even before elections. So it is not surprising that Malaysia scored a "very low" ranking of 144 out of 161 countries in the Electoral Integrity Project, a reputable independent academic study on electoral integrity worldwide based at the Harvard University and the University of Sydney. What we seen in 2017 is the worsening of our electoral system, using old and new techniques alike. Electoral fraud and manipulation are already happening well before elections are held, and the EC is at the center of it all. Despite the odds, the integrity of our electoral system is not something that Malaysians should give up on, especially when it has been a decade-long struggle since the first Bersih rally in 2007. 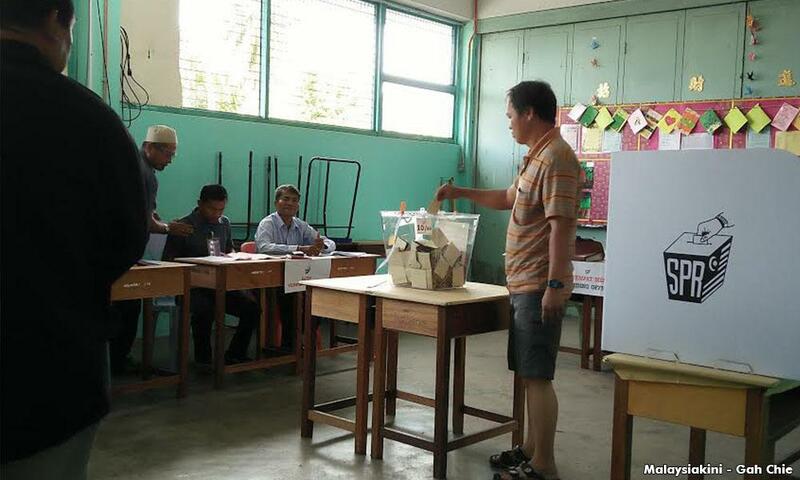 What then can Malaysians do to protect and defend the integrity of our electoral system? Firstly, Malaysians can reduce the effect of electoral fraud and manipulation by ensuring a high voter turnout. Malaysians must stand up against electoral fraud by voting and ensuring that their family members and friends do the same. Secondly, Malaysians can volunteer as polling and counting agents (Pacas) in their constituencies. Adequate Pacas are needed at all polling stations to prevent outright fraud during polling day. Beyond that, Malaysians should also volunteer with Pemantau, an election observation campaign launched by Bersih 2.0. Many electoral fraud and offences such as bribery and political violence happen before polling day. 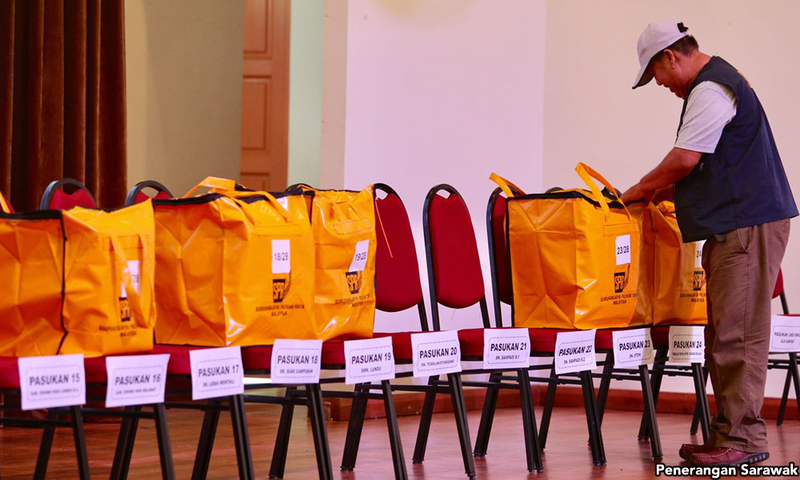 Pemantau (election observers) are therefore also needed to ensure a clean and fair environment during the campaigning period. Registration as a Pemantau can be done here. At the end of the day, if we cannot rely on the EC to run elections in a clean and fair manner, citizens must take it upon themselves to defend the integrity of our elections and democracy. CHAN TSU CHONG is the outreach offficer of Bersih.